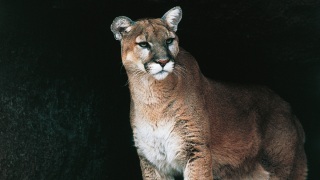 A mountain lion was spotted late Wednesday morning in the vicinity of the University of California, Berkeley campus, according to university police. The sighting was reported at 11:57 a.m. east of the Clark Kerr Campus track on Sport Lane near 2601 Warring St. The track is at the western edge of the Claremont Canyon Regional Preserve. Deer are edible and are a major source of food for big cats. Police said that several mountain lions have been reported in the hills near the campus, as well as the carcasses of animals suspected to be their prey. People in the area are advised to avoid hiking or jogging alone, especially at night, and to make plenty of noise while hiking so as not to surprise the lion. People should keep children and small pets close and consider carrying a stick, which can be used to "ward off" a lion attack, police said. In the event of a lion encounter, people can avoid being attacked by giving the cat a path of escape and should not approach it or run away. Police advise to fight back if attacked and to remain standing if possible. Other victims have fought back successfully using rocks, sticks or even their bare hands, according to police.